Coaches, do you shop for an offense that best fits your team? Or do you fit your team as best you can to your offense? Or is it both? And how much of championship success rests in a team’s half court offense? In the sport of basketball, nothing attracts attention and emulation like success — and rightfully so. 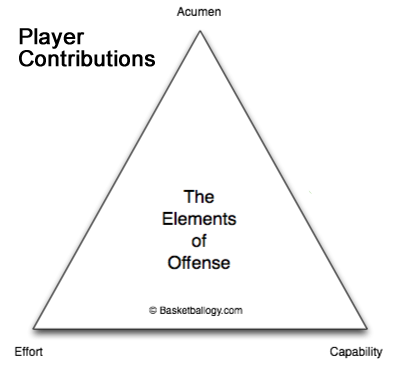 During the Phil Jackson era, I saw many a high school run the Triangle Offense. However, despite the obvious success (dare I say, “dominance”) Coach Jackson enjoyed with the Triangle in the NBA, it is starting to look like the heralded Triangle Offense may have retired with Phil. Why is this dominate, battle-proven offense now being relegated to the sidelines? (Yes, we know why, but let’s pretend we don’t for now and move on). In late 2012, the Princeton Offense was making news in the NBA again which is interesting considering the Princeton Offense (or derivatives of the Princeton offense) has been run in the NBA before. The Cleveland Cavaliers, the New Orleans Hornets, the New Jersey Nets, the Sacramento Kings, Rick Adelman‘s Houston Rockets and Eddie Jordan‘s Washington Wizards have all given it a go. 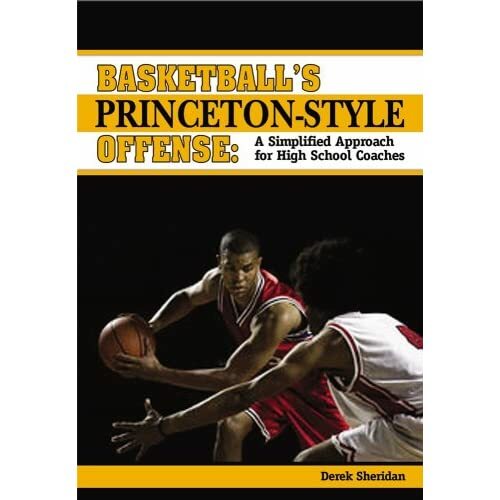 However, despite all that love for the offense, no team has ever won an NBA championship with the Princeton Offense. And guess many college teams have won NCAA championships with the Princeton Offense? Zero. The closest the Princeton Offense has come to a championship was in 2007 when John Thompson III’s Georgetown Hoyas reached the NCAA Final Four. So what is its appeal? And how much championship mojo is there in an offense anyway? Judging by the amount of time coaches are focused on their half court offense, you would think it was responsible for 80% of a team’s success, the reality though, is probably something closer to 40%. Consequently, it would be ideal if a team could find an offense that is powerful enough to make a team effective, adaptable enough to maximize a team’s personnel, yet simple enough that learning it doesn’t devour a team’s practice time. How good is an offense really if it comes at the cost of your defense? After all, how useful really is an offense that takes all of a team’s time and attention to institute, if it comes at the cost of your defense, transition game, rebounding and player development? It is important to understand both what a good half court offense is, and what it is not. A good half court offense is a system that melds many players into one team, and maximizes their advantages in competition. A good half court offense is not Dumbo’s Feather. While a good offense can get your team better shots, it can’t make them for you. If your elephant can’t fly, a new offense won’t having you passing out peanuts, soda, and little pillows either. 1. Spacing so the offense can execute. 2. Ball movement so a team can create quality shots. 3. Player movement so the right players can take the right shots at the right time from the right places. Imagine a triangle. One side of the triangle is labeled “Spacing,” another side is labeled “Ball Movement,” and the third is labeled “Player Movement.” Normally each side would usually be about the same length, representing the balance of these 3 elements on court, but how much you use of each can vary. For example, at the end of a close game, you might put your ball handler on top, flatten your players out along the baseline, then send a player up to the top of the arc to set a pick. In this situation, the ball could stay in the hands of one player the entire possession, so the triangle that would represent this possession would obviously not have a very long side for ball movement. 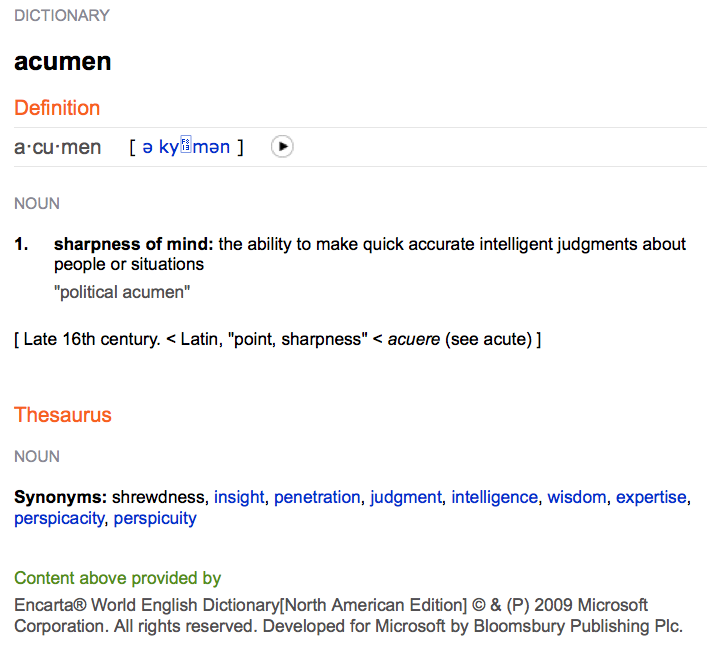 Nevertheless, given the situation, that triangle is still perfectly acceptable. 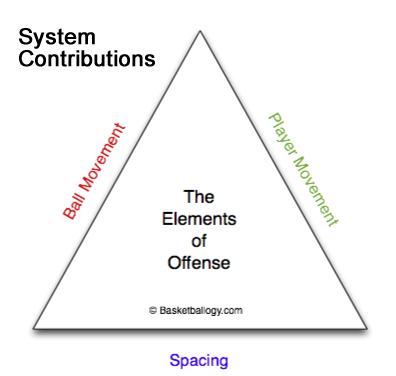 While a good offense can get your team better shots, it can’t make them for you.While this model is useful for understanding the elements of offense, it is still incomplete. So far, all we have illustrated are the System Contributions a half court offense such as the Read and React Offense or Princeton Offense bring to the table. There are three other factors to half court offense, the corners of the triangle (if you will) that are brought mostly by players to the game. These player contributions are acumen (decision making), effort, and capability. Decision making is huge in basketball. There are a lot of people who can really play this game in terms of skills and capability, but just cannot be trusted to make the right decision. I am from Juneau, Alaska and have had the good fortune of knowing Carlos Boozer since his freshman year of high school. Of course we were not in the same social circle; he was a high school kid and I was president of a local company, but we played pickup ball together and I’ve watched him play ever since his high school years. His senior year, Carlos was definitely a big deal in Alaska. Calos Boozer was nationally highly ranked as a player and was headed to Duke University, and this definitely drew the attention of opposing teams. I remember an away game in Anchorage against East High School (the alma mater of Trajon Langdon). East had a very athletic player who was just a bit bigger than Carlos, a bit stronger, quicker and more athletic. This particular game this player took his match up against Carlos very personally and got the best of Boozer. East won that game and as the buzzer sounded, their dominate big gave a primal scream that could be heard all the way back to Juneau. I remember thinking, “Wow, good for him!” and I asked where he was going to college. I can’t remember the small school he was headed to, but I do remember they thought his grades may make it so it wouldn’t happen anyway. And where is he today? Even an Alaskan basketball fanatic like me (who also followed the Miami Heat‘s Mario Chalmers since his days at Bartlett High School in Anchorage) can’t even remember his name. Despite this player’s capabilities, his acumen and effort were something he turned on in certain games or situations rather than his habit of play, so we didn’t see him on the 2008 USA Redeem Team, much less in the NBA. Decision making is so important to the game of basketball — and life for that matter — that it is worthy of its own book. To be brief, a decision is only as good as the information it was based on. All of us have made decisions we would make differently today now that we know what we know. So to make good decisions, we need information from experience, from coaches, from watching others… but we need something more than information. We need to make good decision making a habit, something we are always trying to do so it becomes something we instinctively do in an instant, and without a moment of conscience thought. All of us are able to make good decisions, it is having the habit of being a good decision maker where most of us let ourselves down. For example, next time you see people playing a game of pickup basketball — or scrimmaging in practice even — just watch how many of them play with habits which would hurt them in a real game, such as standing 3 seconds in the key, stepping on lines, or scoring by 1s and 2s instead of 2s and 3s. Good decisions have to be practiced perpetually to become instantaneous and instinctual habits that serve you best when it matters most. 2. Effort – Kurt Rambis. Joakim Noah. For all the talent and athleticism in the NBA, there are players who made a place for themselves in professional basketball based more on the effort they bring to the floor every day than their offensive gifts. Did you know that the season just prior to when LeBron James took his talents to South Beach, the player that led the Cleveland Cavaliers in +/- was Anderson Varejo? The Cavs had the best record in the NBA, and the NBA’s MVP, however it was their effort man, Anderson Varejo, who was the team’s biggest contributor to winning. In my experience, a coach can preach effort and get fair results from it, but the best thing that can happen to his team in this department is to have a player or two that really embodies effort every day, every practice, every game. These players set an example and a tone that affects the team’s culture, bringing the entire team’s level of effort to a new level. 3. Capability – People wondered aloud in 2012 if Team USA‘s lack of size would do them in, especially since Spain had Pau Gasol, Marc Gasol and Serge Ibaka. Team USA’s response to the world was that they don’t need height, they need what tall players do, things such as rebounding, blocking shots and defending the rim. In other words, Team USA insisted that wasn’t about physical gifts, it was broader than that, it is about capabilities, and they had capable inside defenders and rebounders. 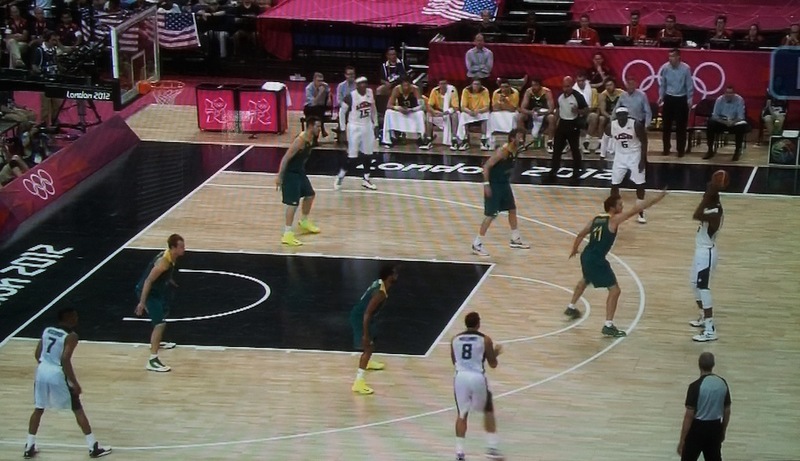 Team USA plays 5-out against Australia’s zone defense; look at that spacing! Consequently, in basketball the word “capability” includes all those words we like to use to describe a player’s physicality and ability, including: talent, athleticism, speed, quickness, height and skills. 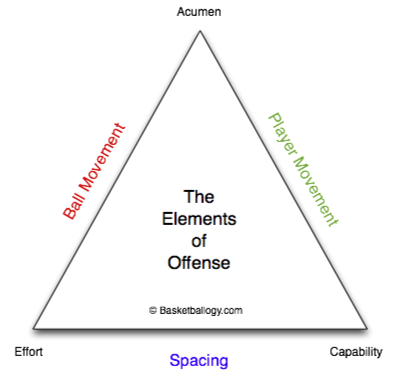 When we put the contributions a half court offense together with the contributions players give, we get the full model, the elements of offense. One problem some half court offenses have is that they try too hard to make decisions for players. In my opinion, a half court offense should provide options for players, not make their decisions for them. These offense are known as “highly structured,” and they attempt to take decision making out of the hands of the players and make it the domain of the system. 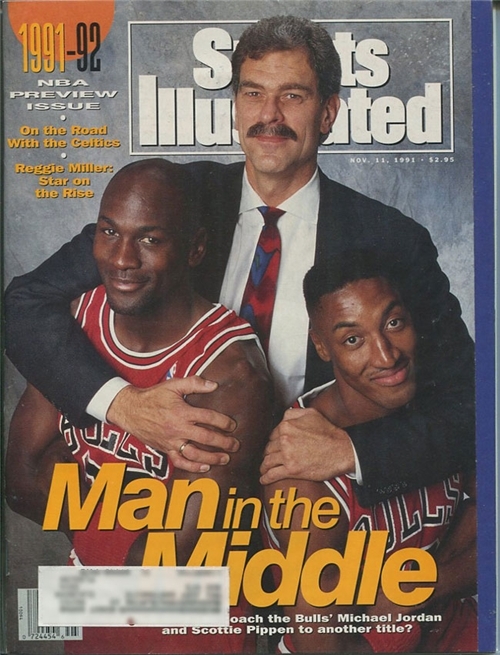 Clyde Drexler, Kevin Duckworth, Terry Porter, Danny Ainge, Cliff Robinson, Jerome Kersey, Buck Williams… they were all extremely capable players, but their structured offense robbed them of the opportunity to develop habits of reading a defense and making decisions about how to counter what they saw, and Phil Jackson’s Chicago Bulls capitalized on that. In my opinion, depending somewhat on personnel, teams are better off installing an offensive system that is powerful enough to create advantages for the team through spacing, ball movement and player movement, yet flexible enough to instantly adapt to whatever personnel you put on the floor. (And yes, I consider the Read and React Offense such a system). As players internalize the offensive system as playing habits, teaching offense becomes more a matter of focusing on developing player acumen, capability and effort to make both the players and the system more effective. So instead of adding plays to an ever expanding playbook — all of which depend heavily on which players are on the floor and what the defense might do, create an offensive framework and teach players how to use its principles to take advantage of whatever players and situations might be on the floor. Also, in my opinion, teams are better off adopting a system that doesn’t consume all a team’s practice time and attention learning it, as the Lakers are now doing as they eschew the Triangle Offense in favor of the Princeton Offense. Teach the framework and its principles, develop the players’ acumen, effort and capability, then use more of that precious time in practices to focus on other aspects of winning such as defense, rebounding, etc. Speaking of the Lakers, have you ever noticed how, in Phil Jackson’s Lakers and his Bulls, at a time out the players are almost coaching themselves? That is because when a team runs a system that is a framework that doesn’t try to annex acumen as its own, the players all have options they can discuss from their differing vantage points. A good system framework, well understood by every player on the team in effect makes every player an assistant coach, and each with eyes on places and people you can’t all see. I know from experience that if a coach will see half court offense as this model depicts, and approach teaching it knowing what belongs to the system and what belongs with the players, this coach will find that there is more than enough to do, and that this approach brings out the best in a team.